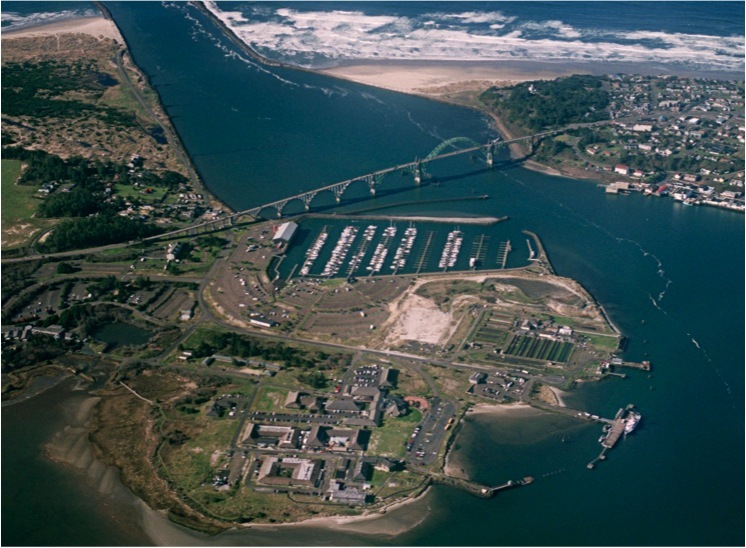 Newport, Oregon is located on the central Oregon Coast at Oregon State University's Hatfield Marine Science Center (HMSC) and is about a 3 hour drive from Portland International Airport and a 2 hour drive from Eugene Airport. 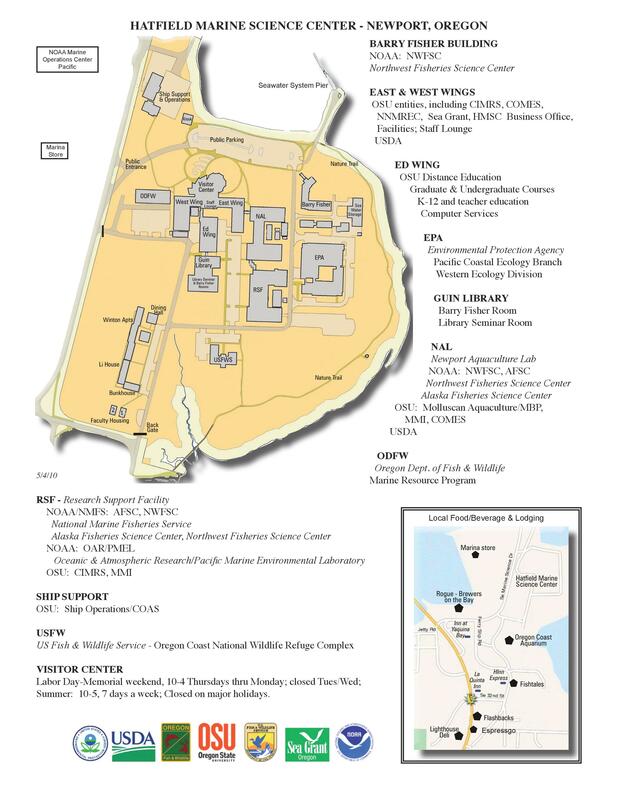 PMEL is located in the RSF Building on the HMSC Campus. Larger image.